Central Aroostook Association, a 501 (c) 3 charitable organization, is celebrating a milestone of 60 years of operation in 2019, having much to reflect upon over the years. AROOSTOOK COUNTY, Maine — Central Aroostook Association, a 501 (c) 3 charitable organization, is celebrating a milestone of 60 years of operation in 2019, having much to reflect upon over the years. 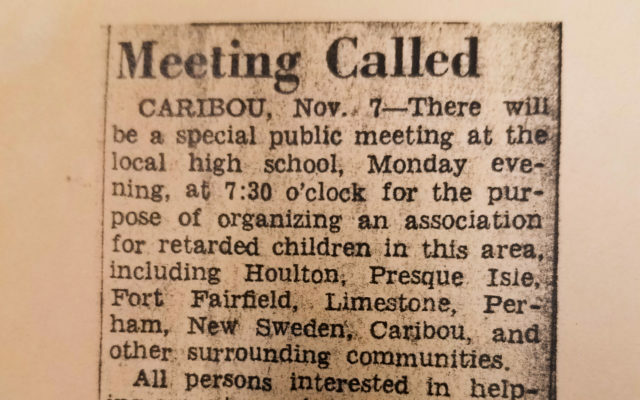 The Association was established in St. Luke’s basement in Caribou by a small group of parents wanting purpose and opportunity for their children having special needs. Fast forward 60 years and their dream is now supporting 400 people in the area, offering an array of programs that focus on education and quality-of-life development for everyone served. According to Steve Richard, who has served as executive director for 43 years, the association’s success is due in large part to its dedicated staff. “The Association has been fortunate and positioned to reach this accomplishment by compassionate staff who embrace each day with encouraging individuals to reach their highest level of personal achievement,” he said. “Our founding moms and dads, they wanted the best services for their sons and daughters. The association, like other small non-profits, kept its eye on which services were needed in the area,” Richard explained. Kim Grant, a 15-year veteran as director of residential services and 60th anniversary committee member, summarized her tenure at Central Aroostook Association. The organization is situated on Lombard Street extension in Presque Isle to allow for privacy, ease of access for visitors, yet convenience to access in-town activities. Programs include 23 shared living homes throughout Aroostook County, home/community supports, six residential homes offering 24-hour care, special purpose private school, youth and adult case management, adult services in three locations, and work training. With a series of events planned through the spring and summer, Central Aroostook Association will offer public education and community events featured on the association campus to inform residents of supports available in the area. Information regarding these special events will be announced soon. For information on “The Little Room at St. Luke’s,” visit amazon.com.